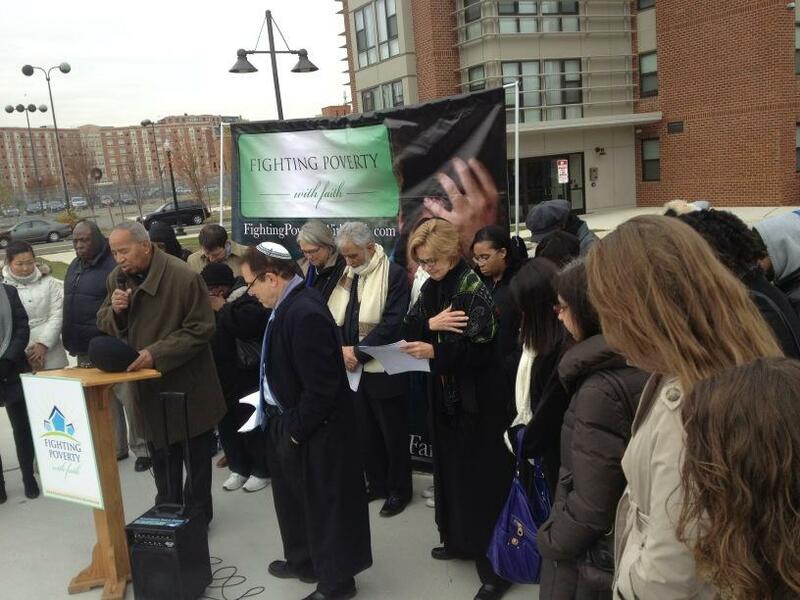 Leaders from national faith-based organizations held an interfaith house blessing and press conference at a mixed income housing development called The SeVerna, in Washington, DC. At the SeVerna, no one pays more than one third of their income on housing. The driving force behind the establishment of The SeVerna were leaders from the Bible Way church. 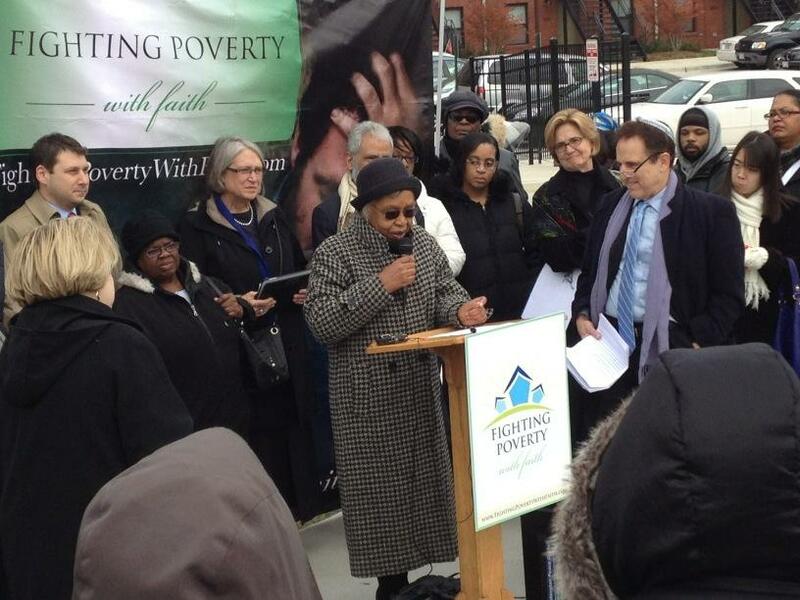 At the press conference, national faith leaders called on the U.S. Congress to create more affordable housing like The SeVerna. Congress can make it happen by making good on their 2008 promise to help local agencies create affordable housing by giving $1 billion in federal dollars to the National Housing Trust Fund. Click here to add your voice by sending a message to Congress. Check out the photo and video footage from the event. Bible Way church Elder Henry Marshall offers a prayer before the beginning of the Fighting Poverty with Faith 2012 National Event and Press Conference. Ms. Yvonne Williams shares some of the history of The SeVerna and neighboring affordable housing developments, all of which Bible Way church was instrumental in establishing. (left to right) Rev. 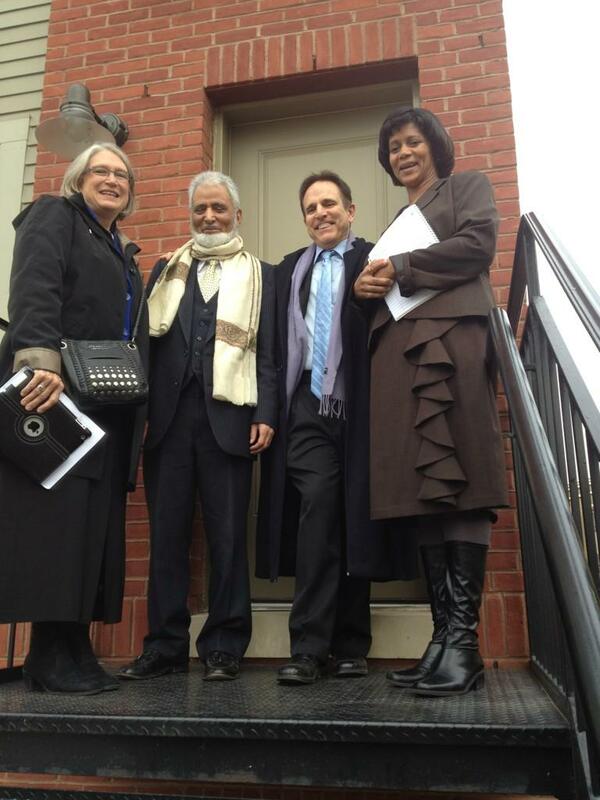 Dr. Sharon Watkins of the Christian Church -Disciples of Christ and Vice President at Large of the NCC, Dr. Sayyid M. Syeed of the Islamic Society of North America, and Rabbi Steve Gutow emerge from an interfaith visit and house blessing at the home of The SeVerna resident and Fighting Poverty with Faith press conference speaker Ms. Deborah Washington.